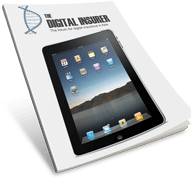 The insurance world has experienced a technology driven tsunami of insurtech in recent years. Yet a new chapter has begun in which the industry must acknowledge they face danger of extinction if they do not adapt during this evolutionary phase. MSIG is the largest general insurer by gross written premiums in the Asean region including Hong Kong, and has just completed a total refresh of its Singapore technology stack with SAP. This project was sizeable, covering the core system and a digital marketing platform in order “to make the business relevant for today’s marketplace”, says Gourlay. The old system managed data in the old ways, says Gourlay, containing a series of siloed systems that couldn’t be efficiently integrated for how the insurance business is developing. The new system will deliver data analytics, allow build outs and customisation of products and services, and most importantly, allow MSIG to collaborate with new partners in the new world through API-enablement. The old way of putting long forms online for customers to complete has gone, says Gourlay, replaced by a more intuitive customer experience that allows them to buy the product they want much quicker and easier. Digital is no longer about making distribution more efficient, says Gourlay, but must be enterprise-wide to cover internal efficiencies that are derived from RPA (robotic process automation) on claims and policy processing, through to 24/7 chatbots that allow customers to deal with their insurer at a time that suits them. Most insurers deploy technology to enhance their business as usual, and on customer experience and engagement, says Gourlay, but they are not pioneering and pushing the boundaries enough. The industry is still way behind in terms of what technology is fully capable of doing. “MSIG is focused on the customer experience and driving internal efficiencies which are somewhat related but the benefits are different,” he says. The new technology platform will also change the relationship with MSIG’s existing partners, but also new ones in the shape of digital platform companies. But Gourlay is emphatic that this does not mean MSIG is turning its back on existing distribution partners. Regulators have a crucial role to play in the development and implementation of insurtech, but the industry should not use regulation as an excuse for not moving with the times. “Regulators understand they need to change and we’re seeing the first signs with the launch of regulatory sandboxes for example” says Gourlay. Sandboxes allow new products and distribution channels to be developed under close supervision from the regulator and thoroughly vetted before being taken to market. The main obstacle now is the insurance companies themselves, and traditional insurers still tend to think in conventional ways. By externalising the view of the business and focusing on the customer, insurers will have a better understanding of their position in the new marketplace and not see technology adoption as a negative impact. “Some will say it will place the distribution channels under threat, but I think most insurance companies will understand that in the future, the end customer will decide how they want to deal with us – we can no longer dictate that relationship,” he says. This is not a claim that traditional channels are dead and the business will all go direct, but that the industry must adapt if it is to survive and it is up to insurers like MSIG to help their distribution channels through this period of change. Gourlay acknowledges that even MSIG is only starting on its journey, but is already thinking about the next stage, which could possibly be dominated by blockchain. Having been looking at its possibilities in the past few years, Gourlay puts blockchain into two categories. The first is for business transactions with multi party processes such as shipping with a long chain of commercial transactions. It simply doesn’t work efficiently and that is why shipping companies like Maersk is working with IBM and insurers like MS Amlin – a sister company of MSIG – to build total shipping solutions. The demand is apparent. Currently, a vessel can sail from Tokyo to somewhere in Korea in 17 hours, yet the paperwork takes four days to arrive, delaying the release of cargoes. You need three copies of the bill of lading, to take to the customs broker and insurance has a role in that. We want to know where our shipments are, so when it comes to multi party process businesses such as shipping, there are use cases being actualised. The other immediate case is for insurers to make use of smart insurance contracts that rely on a single golden record to settle a claim. This is already happening with travel delay and lost baggage, and the next obvious application is in healthcare. These contracts will settle claims automatically and over the next few years, they will be more widely implemented. For all its possibilities, insurtech is not a panacea. Legacy will still exist and must be managed, and every single way you interact with customers must be delivered to the same standard, says Gourlay. This means omni-channel is non-negotiable for anyone with legacy, as some customers will not go online to buy a product. They want the personal relationship or a cup of tea and the digital approach must be complemented with an upgraded offline experience. And don’t expect insurance companies to be leading the cutting edge of technology that will cross over into other markets, says Gourlay, who has abandoned three to five-year timeline tech plans because the pace of change is so fast it renders them meaningless. “I’ve told my team to plan for the next six months and the next 18 months. Beyond that, forget it, because we don’t know what technology will look like after that. MSIG has become the largest because it has looked after its customers. 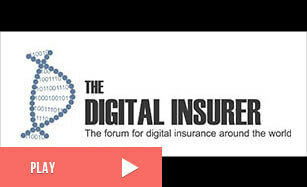 All insurers are going to have to lead their customers – and partners – on the journey to a digital world, says Gourlay. That may be frightening for some, but he advises people to remember that insurtech is a broad church, covering everything from single process improvements such as payment systems through to forging whole new market segments and new product solutions, new distribution channels, dealing with the real disruptors of the insurance market, and everything in between. “So when you talk about insurtech, it’s wide, it’s deep, it’s complementary, supplementary, and it is also radically changing. It’s very broad, very broad subject,” says Gourlay. Though technology will deliver the new market, it is relationships that will remain essential to any insurer’s proposition. It is the insurers who, in their desire to be all digital forget this simple truth who will suffer the most, says Gourlay.